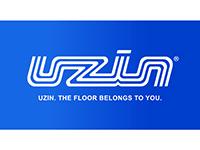 UZIN has long been known for pioneering innovative primers and moisture control systems to help support screeding and flooring contractors. The company provide a range of specialist primers and damp proof membranes for commercial and industrial flooring which can help expedite projects. They have also developed a unique system to protect anhydrite, gypsum and calcium sulphate screeds against residual moisture. A first for the flooring industry! UZIN primers increase the bond strength between the substrate and smoothing compound or underlayment. They also help prevent the water in the smoothing compound and underlayment from being drawn out too quickly. Whether in a new build or refurbishment, protecting against subfloor moisture is critical for ensuring the success of any final floor finish. UZIN provide moisture control systems for both cementitious and anhydrite screeds to ensure any projects can be completed to schedule. With their expert knowledge, product range and technical service they have the capability to overcome any problems or difficulties you may face. UZIN also provide mutually compatible screeds, screed additives as well as smoothing compounds and underlayments to provide total solutions. UZIN can provide comprehensive technical support, moisture testing & specification service. The company is renowned for problem solving solutions and technical service, visiting building sites and providing expert advice. We can also help you with moisture testing and provide written specifications for any of your projects.